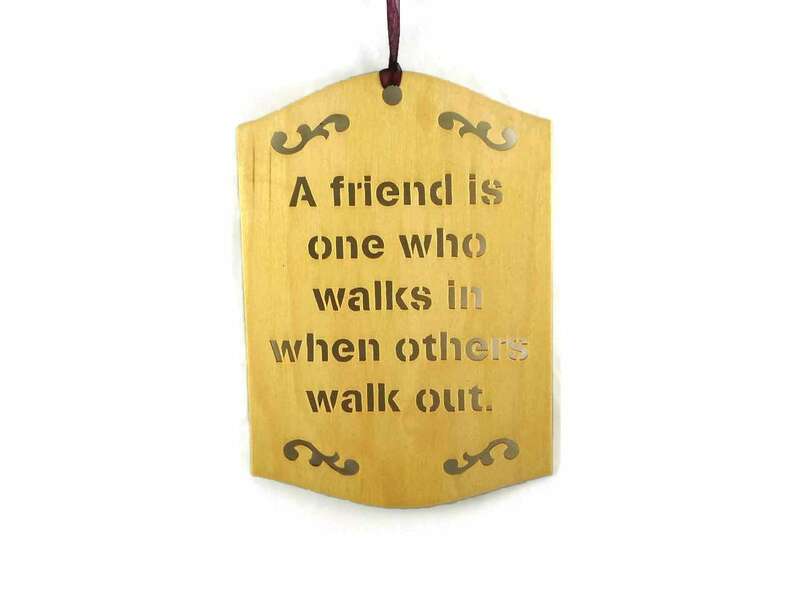 Do you have one of those friends that seem to walk in to be there for you when everyone else walks out? 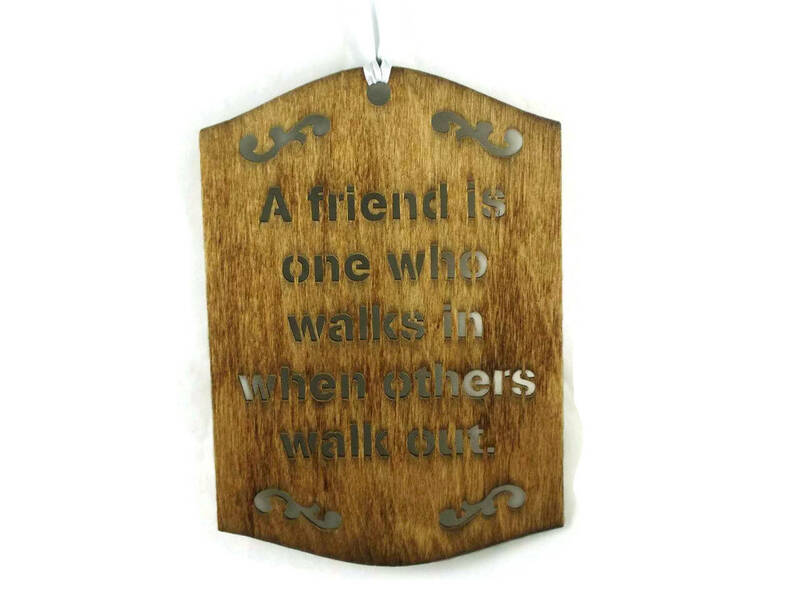 Then let them know they are a special friend and give them this wall hanging plaque as a token of being that great friend. 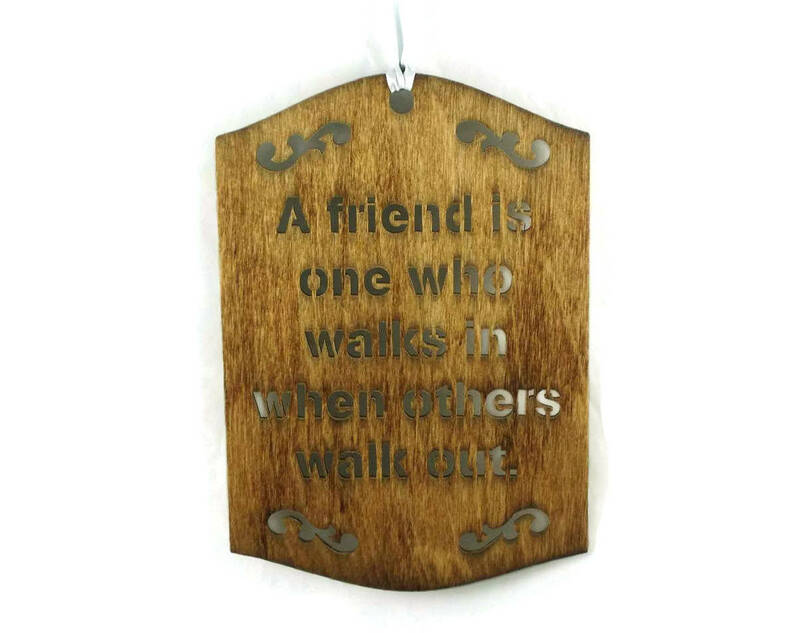 I handcrafted this Friend Walks in When others Walk Out wall hanging home decor piece using a scroll saw. 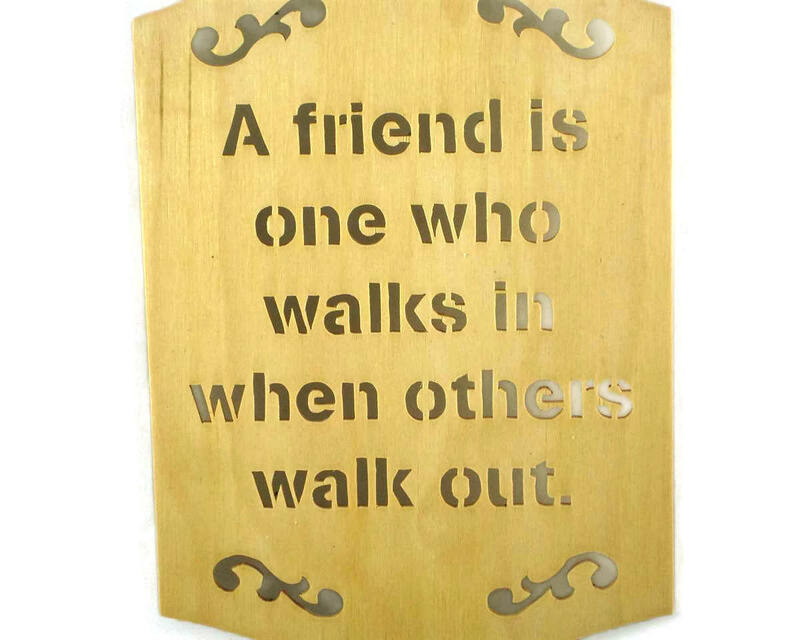 This was cut from 1/8" Baltic Birch plywood. 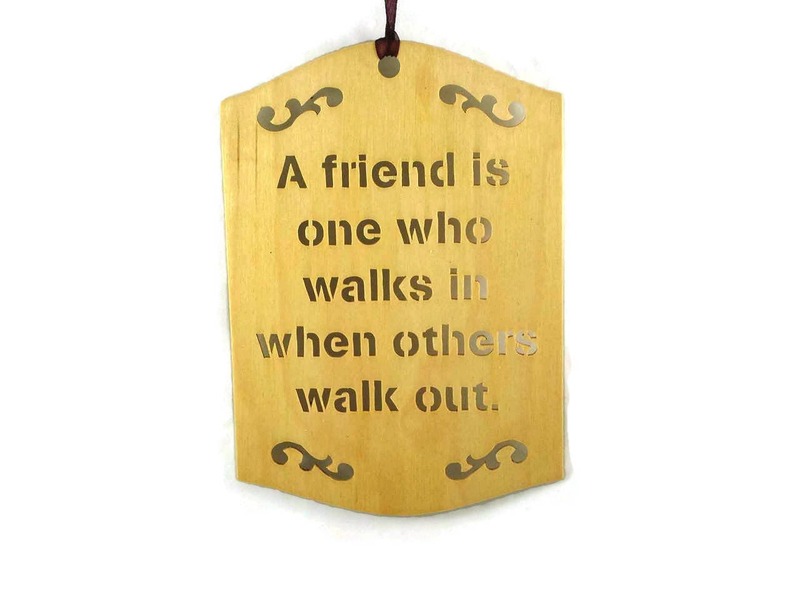 I applied a Natural Danish oil finish to this. Measures approx. 8.5in. high x 6in. Wide.